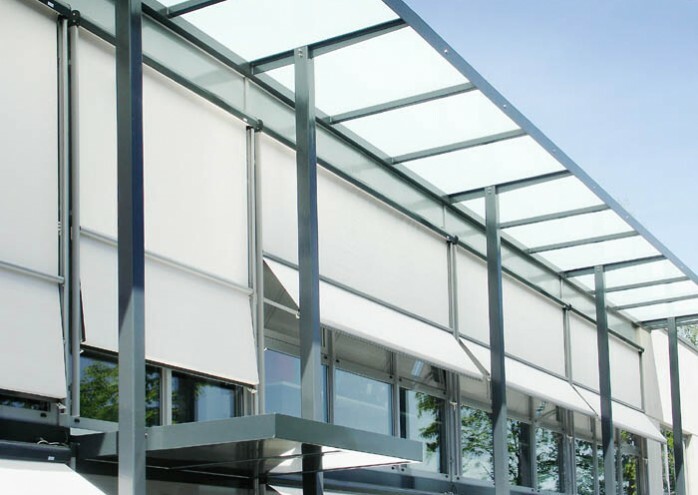 The choice of daylight and shade is easy with the Visombra. 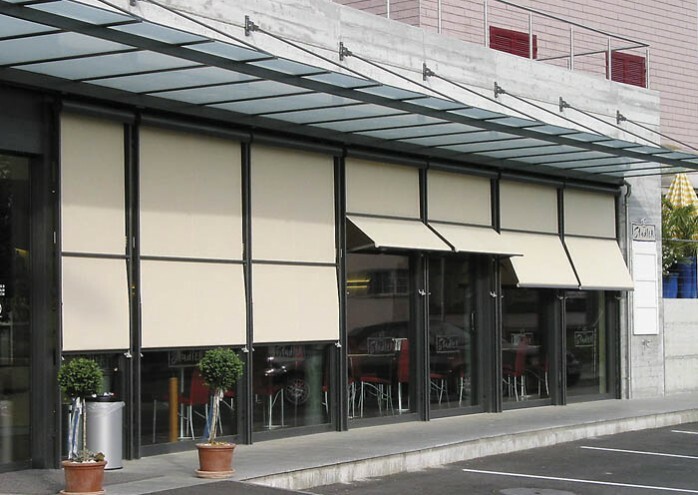 The unique combination of solar shade and drop arm awning means this system provides maximum adjustable shade, even with large window surfaces. 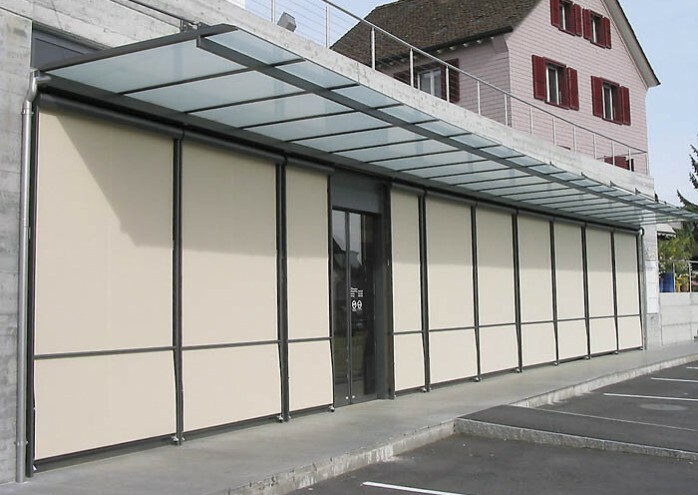 Architects value the versatility and aesthetic design of the Visombra and use it often as a design feature in facades for modern residential or commercial properties. 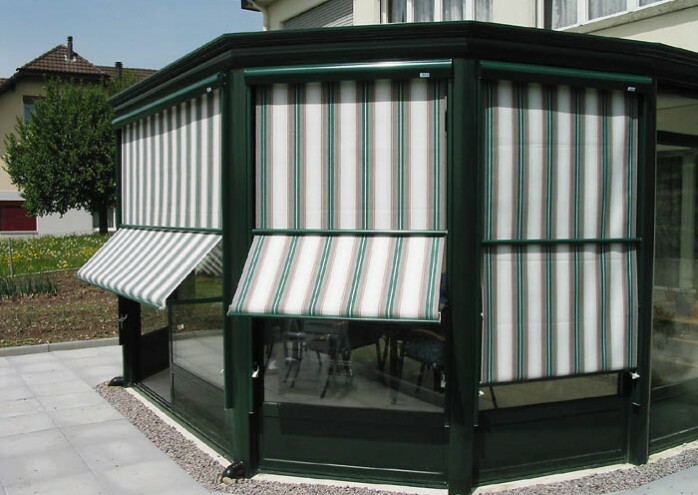 The tensioned projection arms are capable of an adjustable projection angle of 0° to 180°; are automatically locked at the maximum projection angle; and thus are protected against the wind in any position. The Visombra is operated by gearbox and crank or an optional electric motor.